Village Conservatories Ltd - Fascia/Soffits/Guttering, Landscaper , Windows/Doors/Conservatories based in Sherborne, Dorset. 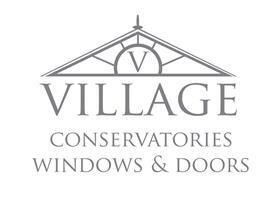 Village Conservatories is a local family run, company that has been installing high quality windows, doors, conservatories and orangeries for over 20 years. We offer a wide range of home improvement services to transform your living space into something functional and aesthetically pleasing. Village Conservatories is renowned for our exceptional level of customer service, outstanding workmanship and very competitive prices. We have built up our business on positive word of mouth recommendations and have many loyal customers returning time and time again for more ideas on how to transform their home. Regardless how complicated your project may be, Village conservatories can handle the entire process from start to finish. Each element of the process is carefully project managed from concept through to completion. Our attention to detail is high and you will find our approach friendly and caring. We offer an extensive choice of conservatories, orangeries, doors and windows in classic, traditional and modern styles, each in a wide range of colours to suit all tastes and budgets. Double glazing has a poor reputation for high pressure sales and silly tactics designed to get an order from customers with in a few of hours. We have a very simple and honest approach to sales, we don’t even price up a replacement window, door or conservatory quotation while we are with a customer (in some circumstances we can offer a guide price to be followed up in writing) so there’s no risk of us asking you for an order. Village Conservatories policy is simple, we have a brief informal chat and follow that up with the most detailed written quotation possible. Allowing our customers the time to think about the proposal and come back to us makes for an easy working relationship and gives the customer time to consider different design and product options. Orangeries are the perfect blend between a traditional home extension and a conservatory and are becoming a popular alternative to a home extension. The combination of a substantial structure together with the luxury of outdoor living is often the ideal blend. Orangeries can make wonderful family rooms, sitting rooms, studies, & playrooms but are also frequently used to create fabulous kitchen extensions. An Orangery extension costs less than a conventional extension while still adding the same solid space to your home but retaining the light and airy feel of a conservatory. The addition of bi folding doors can add a luxurious feel to your orangery. When you buy a Village Orangery, you are buying quality. Our wealth of experience means we use only the most efficient techniques in the building process to save time and therefore reduce costs to our customers without compromising on quality. We are sure you will find our orangery extension prices to be excellent value and competitive. To book a FREE DESIGN CONSULTATION and no-obligation quotation, call SHERBORNE 01935 471111. Our designers will work closely with you to create a fully customised personal quote, whether you desire a traditional timeless classic or a more contemporary design. Planning permission can even be granted for orangeries in conservation areas if designed carefully. Our designers are proud to offer you a truly bespoke design service, transforming your dream into reality and adding character and value to your property. Our showroom is open from 9.30am -4.30pm Monday to Saturday. You will find us at Swan Yard, just off Cheap Street, Sherborne, Dorset DT9 3AX.